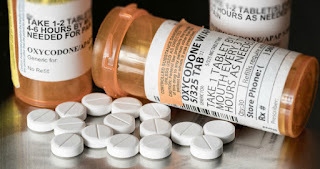 With opioid use at record levels, the Department of Transportation has proposed adding 4 commonly abused drugs to the list that drivers must be screened for. The Department of Transportation new protocol would make them consistent with the Health and Human Services guidelines. According to HHS, over 3,900 Americans BEGIN use of opioid drugs (including heroin) every day. The HHS guidelines are scheduled to take effect in October but no date is set for the DOT changes. Here's a link to the DOT's full notice where you can comment on the proposed changes. You can make comments until March 24, 2017. Overdrives Most Beautiful Female driver contest submissions deadline extended to Monday March 24th so hurry and get you or a friend submitted. In 2013, more than 70 women vied for the top honor. Each contestant had a different story to tell, the field was varied and the decision was tough — but through a combination of audience voting and a judging panel, independent owner-operator Maggie Stone of Galva, Iowa, was crowned Most Beautiful. 2014 is looking to be an even tougher crown to get a hold of. Good luck to all the Lady Diva Truckers !! To submit yourself or a friend follow this LINK and submit away. Remember Berrier Insurance is a full-service commercial truck insurance agency and our goal is to keep truckers informed and save them money. If you or a friend would like to see if we could save you money on your truck insurance or motor truck cargo insurance, please call one of our friendly Insurance agents today (800) 750-1812. We are here to help truckers understand their insurance coverage. Although many parts of the Federal government are shut down since October 1, the Federal Motor Carrier Safety Administration will stay up and running. The FMCSA and FHWA have enough liquidating cash to operate for a period of time and none of their over 4,000 employees will be furloughed. This is good news for truckers and for the transportation of goods throughout the country. Shipments should continue as usual and scales are open. For more information, read more here. We are here to keep you up to date on issues that concern truckers. If you ever need help with your insurance or advice, please call 888-472-4915 or online. To keep your business profitable you need to save money where you can. But don't be short sighted about the coverage you opt out of, it may save you a lot of money in the long run to buy the right coverage. If you have more questions, please call the Insurance Divas at Berrier Insurance 888-472-4915. 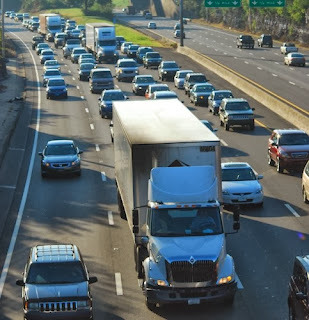 We are here to help truckers understand their insurance coverage. Do you know how much your truck driving habits affect your fuel mileage? It's true, you can increase your fuel mileage and decrease your fuel costs up to 20% in this day of crazy fuel prices just by changing the way you drive. Two truck driver friends, Tom and Ben documented their 2 month experiment and the results were surprising. They each drove their own truck for 30 days, then drove their friend's truck for 30 days. The results were amazing. The first driver, “Tom,” had a 30-day average of 7.71 mpg while driving his own truck. The second driver, “Ben,” had a 30-day average of just 5.83 mpg while driving his own truck. Tom and Ben drove the other truck the same way that they always drove their own truck. They booked the same loads and weights as they had the previous 30 days. They drove in the same region, under similar weather conditions. When Tom was driving Ben’s truck, the 30-day fuel mileage average increased by 23% over what Ben got driving it, up to 7.17 mpg. At the same time, Ben’s 30-day fuel mileage average in Tom’s truck was 6.38 mpg, a 17 percent loss compared to Tom’s average in that truck. To get the whole story in Overdrive Magazine, click this link http://tinyurl.com/bjcjcmc. If you need help figuring your fuel mileage, try this free tool at MyGauges.com. Our goal at Berrier Insurance is to keep truckers informed and save them money. If you or a friend would like to compare rates on your truck insurance, please call one of our friendly agents today (888) 472-4915. Hey guys it’s the Berrier Insurance gals, your commercial truck insurance specialists, with some great tips to saving money. Everyone is feeling it at the pump but is any one actually doing anything about it?There are ways to make filling up less painful. Doesn’t matter what you drive, whether it’s a big rig or a mini, there are a few ways to save in the long run.Here are just 5 of the 75 ways you can help yourself according to the commercial carrier journal! If you're looking for the best coverage at the lowest rates in commercial truck insurance give us a call or visit our site! A strike by clerical works has halted work for an estimated 5,000 truckers serving ports of Los Angeles and Long Beach. The strike continues for the 4th day. 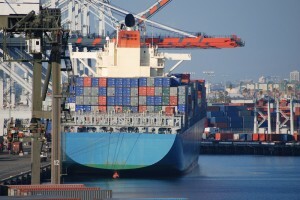 The Los Angeles/Long Beach Harbor Employers Associations are continuing negotiations with the International Longshore and Warehouse Union Local 63 Office Clerical Unit. Other ILWU have refused to cross OCU picket lines, which had idled cargo from moving. Union members have said the dispute is over job security and outsourcing. The LA/LB HEA is a not-for-profit organization representing the region’s shipping agencies and terminal operators which assists in administration of labor contracts. Art Wong, a POLB spokesman, said the strike had resulted in possibly 5,000 to 6,000 truckers not working.